Looking for a PureVPN Coupon?Well, you are in luck! PureVPN is offering a unique and very special 75% discount opportunity to our readers by offering for a limited time only an additional 10% savings. Save an amazing 75% off your entire invoice when purchasing a 1 year subscription. If you want to get a monthly plan the savings will only be 27%, so be aware of this when you purchase. This discount is only available for a limited time, so make sure that you go and redeem this discount by May 15, 2015. Read on to find out how to get this amazing deal. 1. Goto the PureVPN website: www.purevpn.com. 2. Select your plan. (Note: If you select a yearly plan, you will receive a 65% discount). 3. Enter coupon code: VCOUPON12 (Note: this will give you an additional 10% discount). 4. Whoila! You will now have a 75% discount if you purchased a yearly subscription, or a 27% discount if you ordered a monthly subscription. The original yearly price of $143.40 is now $44.95. 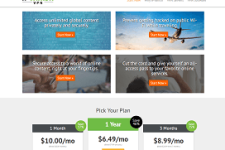 It has 10% additional discount on Monthly and Yearly Plans, however Yearly plans will benefit you more so you might wanna display them separately? The combined discount on each purchase will be – 75% on Yearly and 27% on Monthly. PureVPN manages more than 300 servers across 44 different countries. The company is one of the very few VPN providers that owns and operates 100% of its infrastructure and network. 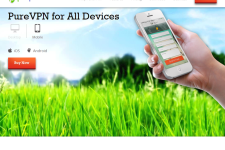 PureVPN offers easy to use apps for all devices and operating systems and permits 5 simultaneous connections. When it comes to fast speeds and online privacy, no other provider can match PureVPN. 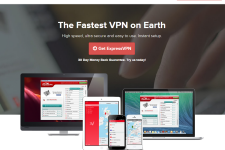 If you would like more details on PureVPN, read the detailed VPNCoupons’ PureVPN review. Or visit: www.purevpn.com.